NBA Playgrounds brings back arcade basketball to home consoles in a wacky, semi-realistic art style. Paying homage to the well known NBA Jam, the game lets you duke it out in 2v2 matches from all 30 NBA teams, including NBA Legends and current players from today’s era. The game does great use of maps, with the ability to play in an New York court, beautiful Paris, or even Shanghai! As mentioned before, you can choose from every current NBA team, with some teams having less players to choose from than others. For example, the New Orleans Pelicans only have three players to choose from (Anthony Davis, DeMarcus Cousins, and Jrue Holiday) while the Los Angeles Lakers have seven players to choose from. The game does an exceptional job of rewarding players with card packs free of charge, no in-app purchases required. You can draw from Gold or standard packs, with the Gold pack giving you a higher chance of pulling a Legendary card, which then goes straight to the player roster you can choose from. In the case of a repeated card, you simply get +100 XP for that repeated card. The XP is useful for ranking up your player. Each player starts of at Bronze, then Silver, and highest being Gold. As you rank up, your player learns new moves, giving you a possible advantage over your opponent if timed correctly. The mode selection does leave me a bit anxious. You can choose Exhibition, which is just a standard unranked match, as well as tournaments, which lets you choose from different parks around the world, with an online mode coming at a later date according to Saber Interactive. Even with the lack of the online mode and local multiplayer AND the lack of local multiplayer, which is coming in an ‘early update’ as well, I firmly believe NBA Playgrounds offers a good time with friends if the developer keeps up with tweaks for the game and roster updates, with NBA Free Agency around the corner. User be warned, the game is not as simplistic as NBA Jam, where you can dunk with ease, you do need to time your jump shot and dunk in order to actually finish off your move. Regardless, don’t allow this to intimidate you from purchasing the game if want some healthy competition. Final verdict? 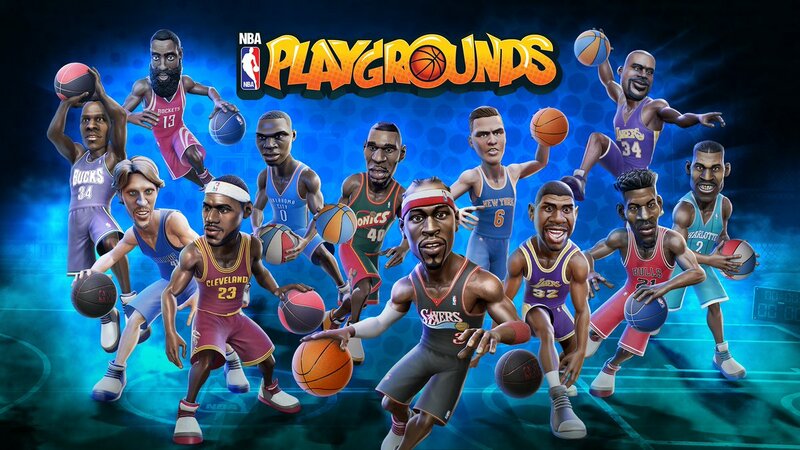 Whether or not you follow NBA basketball, NBA Playground offers great arcade-esque action on the couch or on the go. Avrupa’da en ünlü kumar sitelerinden biridir. The player who ends up with all the cards, wins.